Santa has set up shop at the Toronto Eaton Centre. Visit his Log Cabin located at Trinity Square Park and enjoy free activities....yes FREE! I know, great news as Santa usually charges lots of moola at other shopping malls. Normally, I don't visit Santa but this year it's my son's first Christmas and like every new parent a picture with the jolly guy in red is essential. 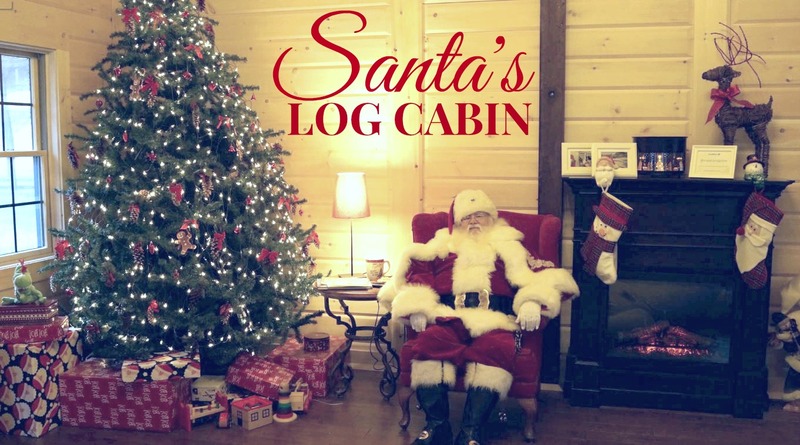 Get your picture taken with Santa every Saturday and Sunday (starting December 1st), bring your own camera. Online reservations are necessary though. Try your luck on drop-in Fridays when no reservations are required but on a first come first serve basis. Pets are welcomed! Or if Santa is busy making gifts you can set-up an appointment via Skype. Do you take pictures with Santa? That is a serious set up Santa go there. I stop taking pictures with him when I turned around 10. I kind of miss it, I think I'm going to do it this year. Can you imagine a 30 year old women taking pictures with Santa at the Grove?